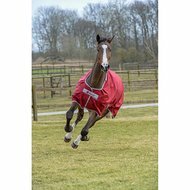 The Bucas Irish Turnout Extra out blanket is a comfortable and warm winter blanket. The blanket is made of strong 1200D ripstop nylon outer fabric, a warm 300 grams filling and a smooth nylon silk-feel lining. 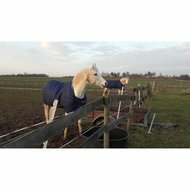 This lightweight blanket makes the laying of several blankets totally unnecessary and your horse enjoys optimum comfort and freedom of movement throughout the winter. 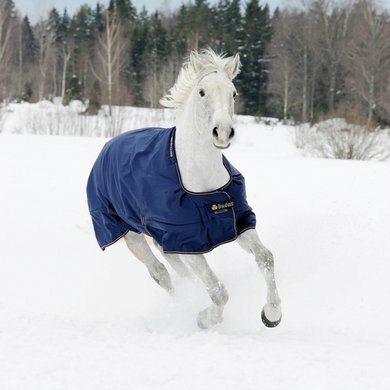 Due to the thick filling your horse stays at a comfortable temperature at an outside temperature between -10 ° to + 8 °. 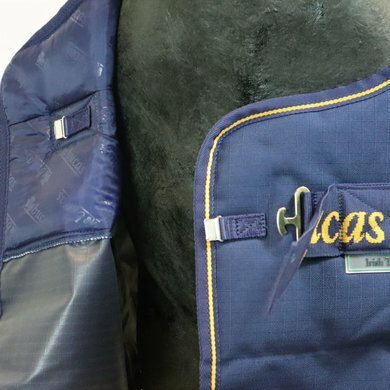 The blanket has a click 'n go front closure with extra Velcro and unique and convenient velcro features at the neck to attach a Combi-Neck neck piece if desired. 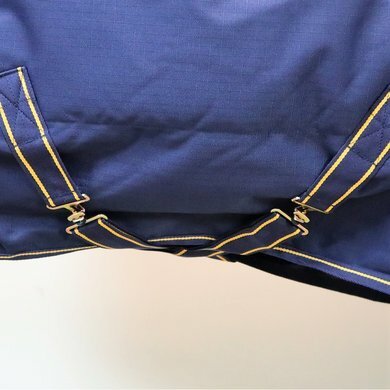 In addition, the blanket has spacious adjustable cross surcingles, a single tail cord (possibility of fastening of the belts, these are not included), a tail flap and shoulder folds. Exactly as in the photo. 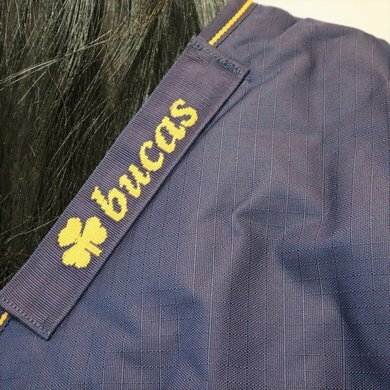 I already knew Bucas with its beautiful fit around the neck, fits well. This blanket is no different. Very satisfied. 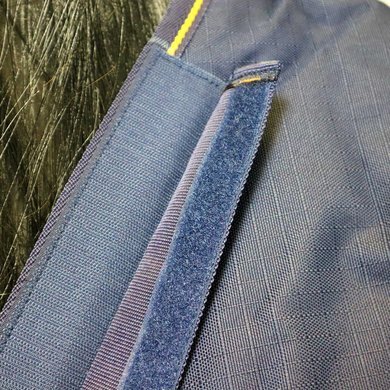 Just a pity that there are no belly belts, there are rings to attach them. Perfect fit. waterproof remains very good! Super nice blanket. Good fit. 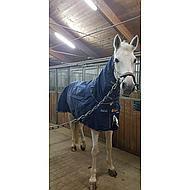 Horse stays nicely dry under the blanket. Question: Is there a matching neck (with filling) available for this blanket? 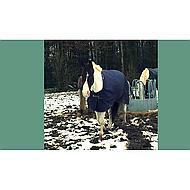 Question: hello - is the description of this blanket then correct that the -10 to + 8 ° temperature covers differences? 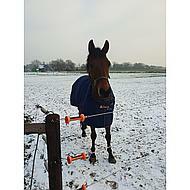 Answer: The optimum range for the Bucas Irish Turnout Extra is between -10 and +8 degrees. 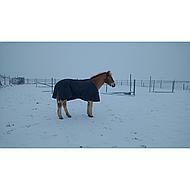 Answer: The optimum temperature range for this blanket is between -10 and +8 degrees. Question: Are fixing loops for leg cords on the ceiling? 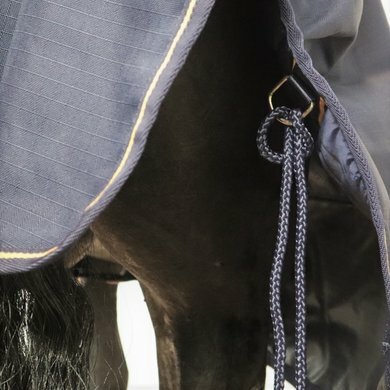 Answer: Yes, it is possible to attach leg cords, but these are not included with the blanket. 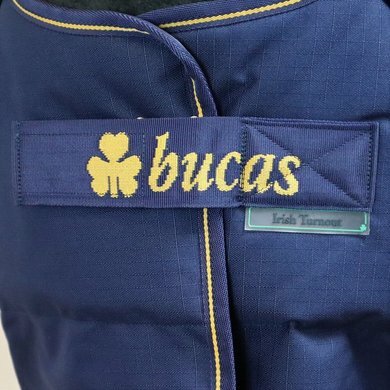 Question: Does the blanket have a smooth interior like the Bucas Irish Stable extra 300g? 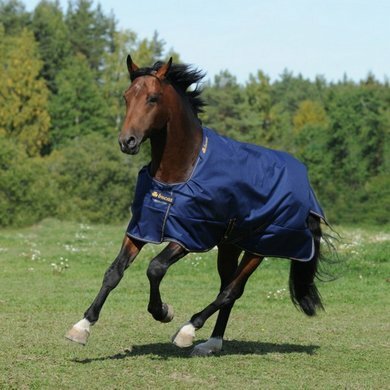 Answer: This blanket has a smooth nylon lining. Question: How much denier is this blanket? 600 or 1200? 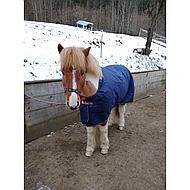 Answer: This blanket is 1200 denier. 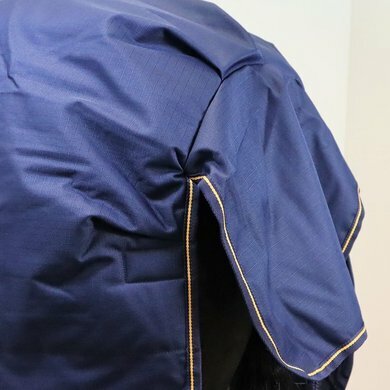 Answer: This is indeed a waterproof winter blanket. Question: Does the ceiling have 300 g of filling?